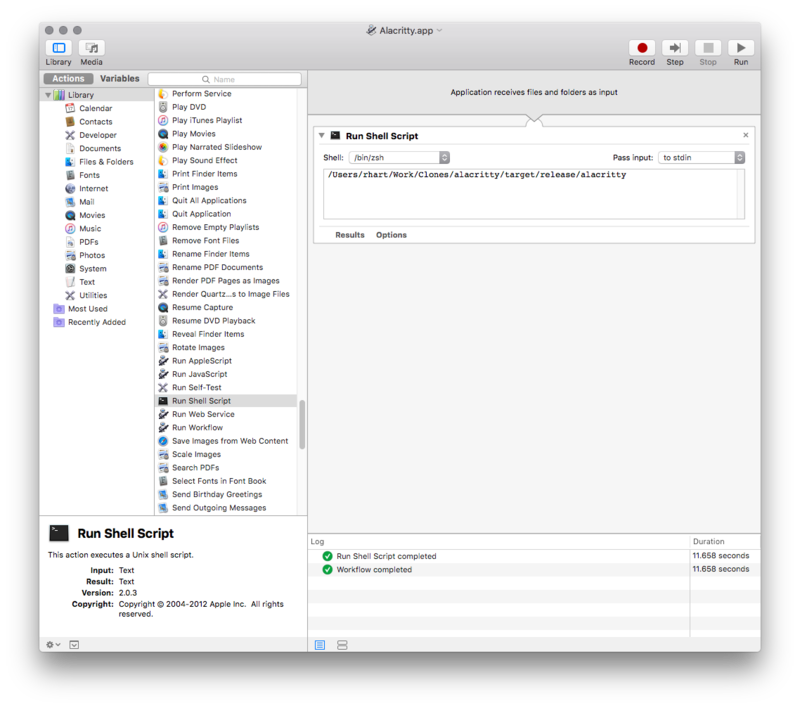 To run Alacritty without spawning a new terminal window you can use Automator to create a new application wrapper. Create a new application document and choose Run Shell Script as the action. Then simply add the path to your built Alacritty and save the document to your Applications folder.